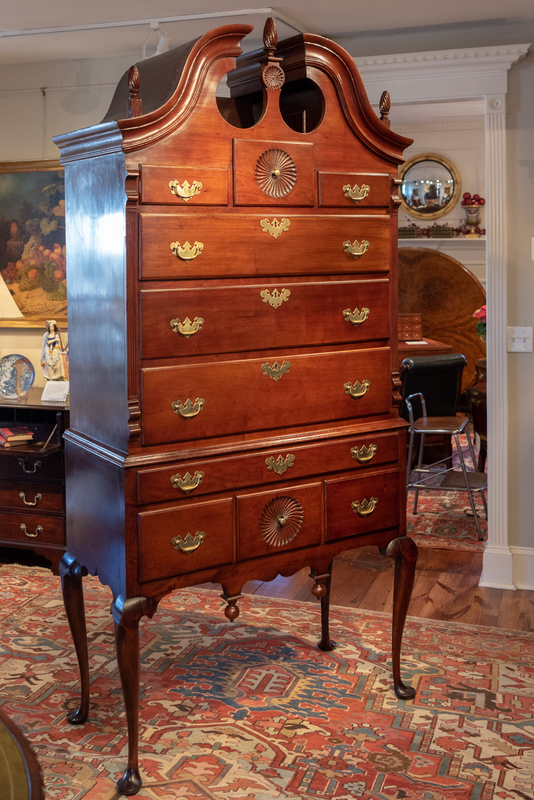 Queen Anne Cherry Bonnet Top Highboy, The Upper Case With A Molded Broken Arch Pediment, Centering A Carved Pinwheel Plinth, Supporting A Flame Carved Finial, Flanking The Same, Above Two Concealed Drawers, Above A Pinwheel Carved Center Drawer, Flanked By Unusual Fluted Side Columns. The Lower Case, Having A Molded Mid-Molding, Above One Large, Over Three Small Drawers, The Center With Pin-Wheel Carved Drawer, Above A Shaped Skirt With Turned Ball Finials, All Raised On Graceful Cabriole Legs, Ending In Pad Feet, Connecticut, Circa 1750-1760, Minor Repairs, Drawers Runners And Brasses Replaced. 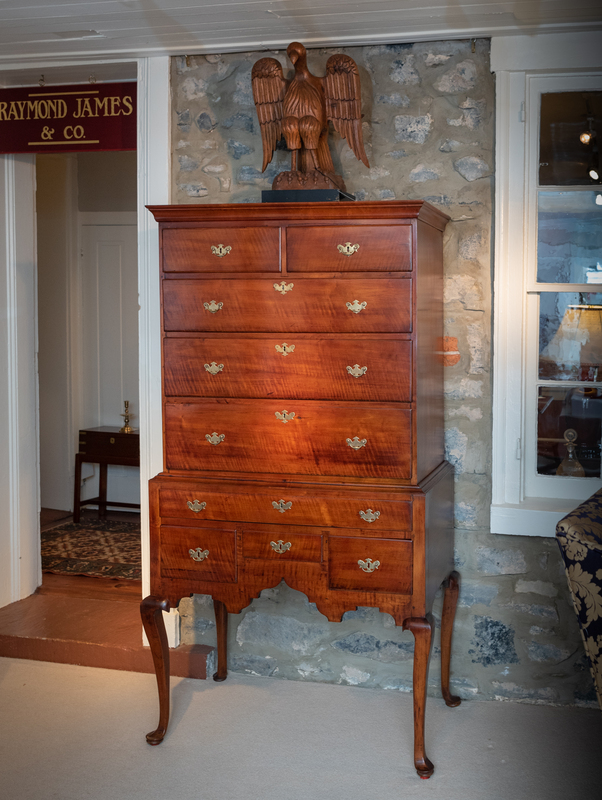 H. 86 1/2" W. 41" D. 20" THIS HIGHBOY HAS A LABEL PROVENANCE: ,DAVID STOCKWELL, WILMINGTON DELAWARE.